As I noted in my previous post, on this day in 1973 all U.S. combat troops left Vietnam. 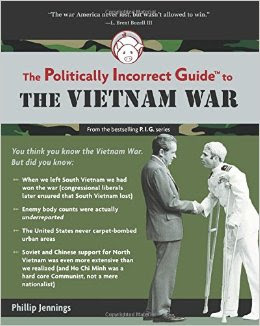 You can also read Philip Jenning's book, The Politically Incorrect Guide to The Vietnam War. Labels: Philip Jennings, The Politically Incorrect Guide to the Vietnam War, The truth about the Vietnam War.